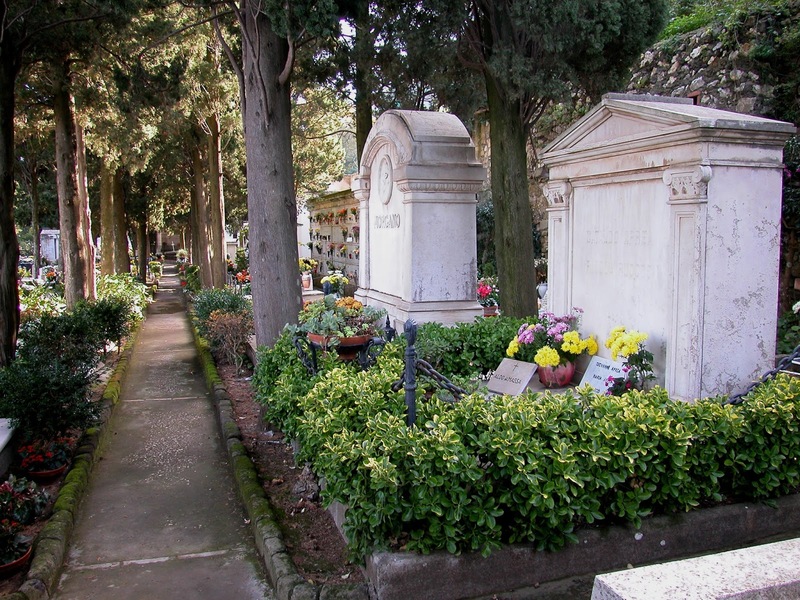 The Cemetery of Capri is composed by the Catholic and non-Catholic area, both made almost simultaneously after 1870. The Catholic and non-Catholic cemeteries lie below the rock face of Mount Solaro, on the north side of the coast, facing the Gulf of Naples. Where the slope diminishes and the main streets branch off, the entire complex extends along the terraces of the quarter of Aiano di Sotto, facing the port area of Marina Grande at about 130 meters above sea level. Hidden by the shadow of cypresses and forest trees, in a position protected by winds, the two cemeteries contain the tombs of more than 2000 deceased. The cemeteries were built almost contemporarily after 1870, one close to the other. The municipal cemetery, situated in an upper position, is separated by the non-Catholic one by high walls. From the common entrance situated in the sharp bend on the street leading to Marina Grande, the flight of steps going to the upper cemetery starts. The visit starts at the entrance of the non-Catholic cemetery at the beginning of the curvilinear flight. The difference between the two cemeteries is the anthropologic and architectonic value of the tombs, which expresses a different way of conceiving burial sites. The anglo-saxon concept identifies itself with the image of a garden as a place of rest and meditation, where the luxuriant vegetation and the tombs complement each other and look at the landscape. In the fields where foreign people from 21 nationalities are buried, the funeral celebration expresses itself in many examples of monuments made of marble, as burial monuments, small obelisks, sarcophagi with horizontal crosses and headstone facing the sea. Literary quotations are written on the more important tombs and on the simpler ones describing the lives of the dead. Family Chapels dominate in the Catholic cemetery as in many Mediterranean graveyards; the Catholic cult of the last abode housing the mortal remains of the dead, has a funeral architecture with different peculiarities, sometimes close to building typologies of the houses of living people. The trend and the distribution into plots of the noble chapels seems to imitate the settlement trend typical of the caprese landscape, reproducing the architectural features of the place. The environmental quality, the univocity of the site and the promiscuity of the historical and monumental values identify the whole as a unique maritime cemetery. The entire cemetery area extends from south-east towards north-west, along the ground terraces that cover a gross surface of almost a hectare. Close to the road to Anacapri, with the entrance from the curve of the street to Marina Grande, the maritime cemetery lies at a small distance from the more ancient inhabited centre and is easily reachable from the two main churches: the church of San Costanzo in Marina Grande (XI-XII and XIVcentury) and the church of Santo Stefano (XVII century), located in the "piazzetta" of Capri. The history of the two cemeteries dates back to the second half of 1800, when, as is well known, first with Napoleon’s edicts at the beginning of the century and then the royal decree approving the law on public health in 1865, instituted municipal cemeteries, in opposition to canon law that till then had established burial in consecrated places, such as churches and graveyards. The plan of the old Catholic cemetery was drawn up in Naples in 1874 by the engineers M. Bottari and A. Giordano. 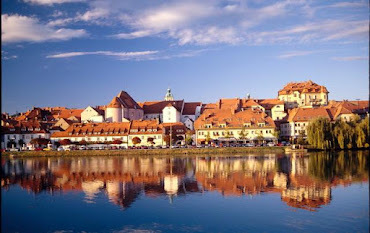 On the tongue of a small rural field it was born the first area of 1820 square metres with a regular plan and at the same height, another area of 870 square metres. In the document of the plan is related another enlargement of 1278 square metres, drawn up in 1891 by engineer E. Mayer that fits to the irregular surface of the terrace. The more ancient entrance zone of the cemetery area is crossed from a central tree-lined path, that leads to the Holy Mother Chapel. On the sides of the path there are ground tombs, whose simplicity is exalted by many votive figures finely decorated. Behind the mortuary chapel and along the wall which bounds the area occupied by the confraternity of San Filippo Neri, with relative chapel, you arrive at the most representative area of the Catholic cemetery: a real residential quarter, divided into different lots with many units of burial and each one occupied by wonderful examples of noble chapels surrounded by flowerbeds, by magnificent tombstones placed on terraced bases and by small neoclassic style temples. Many of these monuments were built at the beginning of 1900, according to the teaching of the local tradition, and each of them represents, in a different way, the past styles and the tastes of the current period. The presence in Capri, in the late 1800, of a numerous colony of foreign people, landing on the Island to discover its romantic myth, resulted in guests from beyond the Alps who died in Capri having a respectable burial. As indicated in the original municipal plan, a small piece of ground on the lower terrace was used to build the non - Catholic cemetery. Founded in 1878, thanks to the will of an English man, George Hayward, secretary of the committee for more than 30 years, the cemetery occupied firstly a rectangular surface of 780 square meters, with a tortuous entrance path made of cobblestones, a storage room and four lines for burial. In the next decade, close to the death chamber, on an area of 16 square metres, the family Cerio’s chapel was built by one of the most known descendants of this family, Ignazio, doctor and famous character of Capri, who, at that time had frequent relationships with the foreign community present on the island, and held, in 1898, the office of President of the institution. In the same year, another enlargement of about 360 square meters was added on a rural field below the old cemetery and linked to this one by a small flight of steps. The administrative and financial management of the board had difficult moments after the first world war and, although there were various attempts at enlargements through the sale of nearby fields (600 mq) the realization of small enlargements (1957) and the slow and progressive annexation of the complex in the municipal cemetery, happened definitively only in the last decade of the last century. The garden holds the mortal remains of famous Anglican, Lutheran, Calvinist, Greek-Orthodox and Jewish guests buried there. There are numerous examples of funeral monuments where the classic style and the the clear-cut language from north Europe meet. The spiritual and linguistic uniqueness of the site is recognizable in the composition of the sculpture that are based on the ground and in the details of the artistic decorations that increase the value of lityc patterns. Many gravestones become reading stones thanks to epitaphs and moral aphorisms written on them so making the cemetery a literary cemetery. View the Cemetery of Capri in a larger map.